Chillers are used for buildings of all sizes. 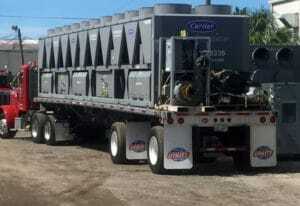 Chiller Rentals may be appropriate for short-term projects or temporary work sites where a permanent unit or units is necessary. Selecting rental equipment requires just as much thought as investing in a permanent fixture. Alpha Energy Solutions will handle your requirement with the highest level of care. We are experts in the field. With over 2000 years of experience combined, you can trust us with your rental needs. Though there are many different types of chillers available, the end game is the same and that is to provide cooling effects. Cooling may be necessary in a building or inside of a manufacturing plant, regardless of what application is addressed, knowing what you plan on using the chiller for will help you start your search for an efficient system. Chillers are complex machines and you should consult an experienced technician when in doubt. 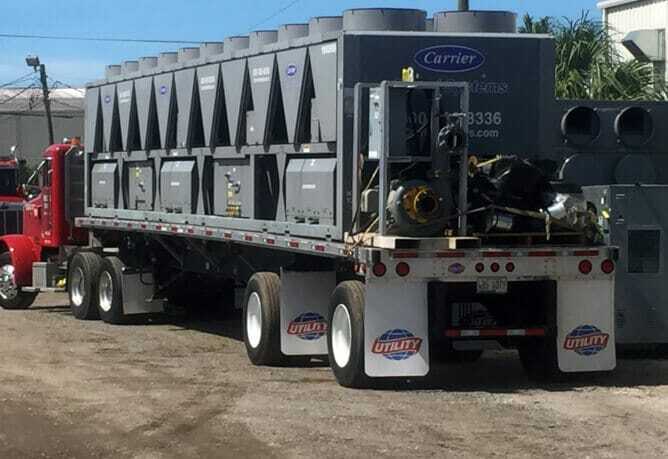 Due to the fact that the selection of chillers available today is vast, you may need to drill down into the specifications of your building or project to narrow down the many options at your disposal. Because even chiller rentals are a sizable investment, trust your selection process to a name that you can trust, Alpha Energy Solutions. The technicians at Alpha Energy Solutions are knowledgeable. We deal with all capacities for chiller rentals. In addition, we can support your installation with service and parts selection if needed. We have access to all of the top brands due to our wide distributor network. Working through the nomenclature of a chiller is tough for a novice. There are however a few important points that you should keep in mind as you embark on your search for such a complex piece of equipment. First, determine your application. Will your chiller be used in an industrial setting? Will any specific equipment rely on the chiller’s performance? Depending on the size of your facility, you may require more than one chiller. Consider your budget when pricing rental units. Some buildings need additional chillers to deliver optimum performance. Your application will largely drive what type of cooling processes you need for your machinery. Among vapor-compression chillers, you are likely to find either air-cooled or water-cooled options. There are benefits to each configuration based on your preferences and applications. Overall, your chiller should be efficient, offer a substantial capacity and have an extensive life-cycle. Some units rely heavily ongoing access to water, thus decreasing efficiency and causing operational costs to rise. Additional points to consider when in the market for a chiller are: spatial requirements and placement, add-on components for performance and maintenance requirements. Since your chiller is expected to have a long life-cycle, selecting a durable unit that is easy to maintenance is recommended. Contact us to learn about how we can help you find a rental chiller for your commercial or industrial need.